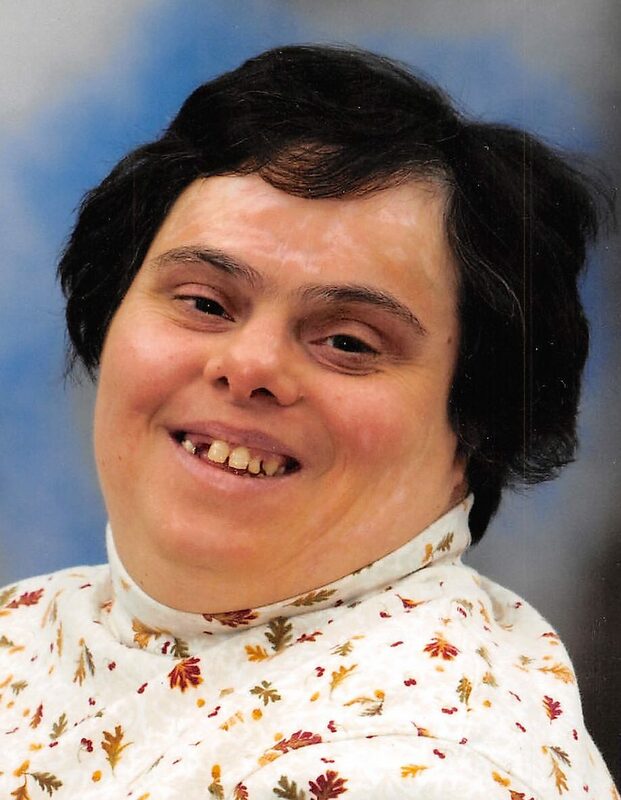 Rina Carbonaro, 57, a resident of Spectrum for Living in Closter, Glen Rock and Rockleigh since 1987 passed away on Sunday, September 30, 2018. Rina was predeceased by her loving parents, William and Josephine (nee Gimino) Carbonaro. Cherished sister of Theresa and Charles Brown, Amelia and John Lauria, Antoinette and Charlie Berger and Peter and Mary Carbonaro. Dearest aunt of many nieces and nephews and grand-nieces and nephews. Rina worked at the Fair Lawn Opportunity Center for many years. Rina loved life fully and everyone she met. Her favorite sport was bowling and above all she loved singing and dancing. A Funeral Mass will be celebrated on Thursday 10 AM at St. Anthony’s RC Church, Northvale with interment to follow at Tappan Cemetery, Tappan, NY. Visitation will be Wednesday 5-9 PM at Pizzi Funeral Home, 120 Paris Ave, Northvale (201-767-3050). In lieu of flowers donations to Spectrum for Living, 210 Rivervale Rd, Suite 3, River Vale, NJ 07675, would be greatly appreciated. Your lil sister is now an angel looking down on you and ensuring you are ok – just as you did for her for many years. I hope yiu find some peace and comfort knowing she is with your parents again, and will be waiting to see you again. God bless you Rina – You were loved by us all. You will be sorely missed and forever in our hearts.